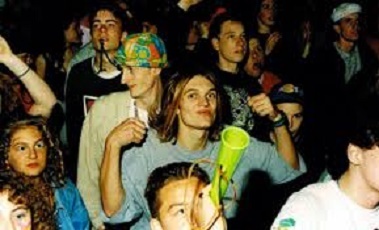 The revelations have caused upset amongst non drug using ravers who spent night out after night out dancing away to repetitive beats waiting in vain to “feel the rush” when it turns out that many of their counterparts who were achieving a “top buzz” were in fact drugs cheats. “I went to a number of raves without any chemical enhancement and quite frankly only had a mediocre time. I spent hours at home training for these nights, practising my grinning and over enthusing about things, sometimes until my cheeks hurt. Now I find out that the whole thing was a fallacy and everyone else was using drugs to give themselves an unfair advantage. I’ll never get that time back.” One former raver told us. President of the National association of Ravers and former Happy Mondays dancer Bez told us that the accusations were spurious and without foundation. « Did Jeremy Corbyn fart during Festival of Remembrance?